The more You’re All Surrounded piles angst on Dae Gu, the more this drama lays bare its weakness and limitations as a storyteller. I grew fond of this drama in the second half and was even willing to accept basic cop 101 procedural elements as the strings to tie together decent emotional growth. But episode 18 felt like this drama finally jumped something when it came to Dae Gu’s life, and I hesitate to use jumping the shark as the apt metaphor. Dae Gu is a male lead with heaps and heaps of misfortune which always felt rather overkill but in this episode came across as laying it on so thick even a blind person can smell the pancaked makeup. This drama has turned into the unfortunate-and-even-more-unfortunate tales of woe of Eun Dae Gu/Kim Ji Yong, a boy who was born father-less, lost his mother as a teen, became an orphaned, was mentored by a surrogate mother who ended up being one of his betrayers, was angry at the wrong dude for the longest time, finds out his likely real dad is a major spineless douchebag, and might share a blood tie with a younger brother born from the womb of a murderous shrieking harpy. No wonder Soo Sun spends this whole episode following Dae Gu around to make sure he doesn’t get so depressed he considers pumping a bullet into his own head. The only reassurance comes from Dae Gu finding purpose in being a cop above just solving his mother’s case, giving hope that when all is said and done, he has a chance of being a happy, normal young man with a bright future ahead of him even if his path is shrouded in immense pain. Pan Seok’s really taken a backburner in the character and screen time department, along with totally underused Sa Kyung, with the two of them popping up to unearth exposition or conveniently help dig up another clue. The hilarious coincidence in Tae Il stumbling across his attackers while on a kidnapping case raid just tells me this screenwriter isn’t even bothering anymore. Same goes with all the major baddies getting offed one after another, which really isn’t even necessary since Madam Yoo has confessed and Congressman Yoo is close to having his reign of orchestrated terror come to an end. The truth is close to coming out and more people simply die in this drama so that the good guys feel guilt that the path to justice is littered with so many sacrifices. Dae Gu uses his smarts and advanced preparation to launch an attack elicited to get Madam Yoo to confess. He shows her the picture of his mom and Madam Yoo’s husband Mr. Shin and asks which of the two Dae Gu resembles? He reveals that an eyewitness ID’d Madam Yoo leaving his house that day so what was she doing there? Twenty-seven years ago Madam Yoo’s husband and Dae Gu’s mom were very close and a year later Dae Gu was born. What a coincidence. And why is her son Shin Ki Jae inexplicably so fond of Dae Gu and even calls him hyung. Is it because blood ties connect them? The lawyer claims Dae Gu’s line of questioning is unrelated to the case but Dae Gu counters that it’s likely related. Perhaps he needs to do a paternity test then. Is Madam Yoo and her father afraid that Dae Gu would inherit their blood stained dirty money? Dae Gu laughs that he can’t believe he’s the son of the Cha Sung Group director. What an amazing luck for him that his mother left him a great present and if it wasn’t for Madam Yoo then he wouldn’t even have known it. Madam Yoo calls Dae Gu a beggar just like his mother while the lawyer tries to end the interview. Dae Gu stands up and asks if Madam Yoo killed her for that? It must’ve been such a bitter pill to swallow that her husband’s heart was already taken by Dae Gu’s mom and now the son might take a part of the inheritance. Dae Gu points a pen tip at Madam Yoo and declares that she came to see his mom but was enraged because his mom was unapologetic because she had the heart of Madam Yoo’s husband Shin Ji Il. Madam Yoo screams for him to shut up and swipes the pen away! 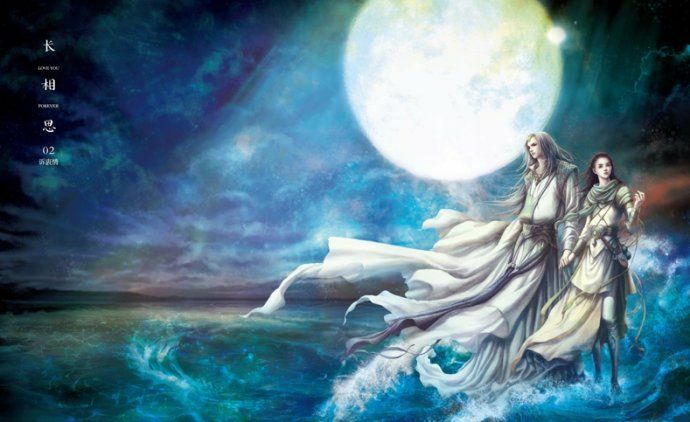 Dae Gu screams that if he was the almighty Madam Yoo, it would be impossible to stomach a nobody teacher who dared to speak with her without fear and stole her husband’s heart away. Madam Yoo screams for Dae Gu to shut up and asks if he wants to die by her hand as well! The cops listening in hear the incriminating statement and gasp but Madam Yoo isn’t done. She says the wench deserved to die by daring to speak with her without knowing her lowly place which is why Madam Yoo smashed the vase over her head. 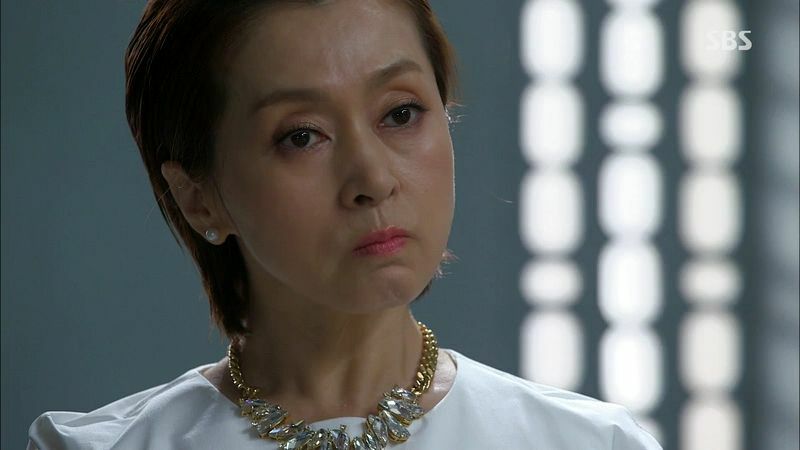 Madam Yoo shrieks that Dae Gu’s mom got what she deserved! The lawyer freaks out as Madam Yoo confesses all and she screams that Dae Gu is just a bug like his mother. How dare he ask for a paternity test! Who gave him the right to get a paternity test! Dae Gu calms down and informs Madam Yoo that she just confessed to assaulting Kim Hwa Young and is now the first killer in the case. Pan Seok and the rest of Team 3 walk into the interview room and officially arrest Madam Yoo while she keeps staring daggers at Dae Gu. Soo Sun is tasked with slapping handcuffs on her and reading her rights. Madam Yoo shrieks for the lawyer to help her but there is nothing he can do as she’s dragged out. Pan Seok sadly looks at the silently crying Dae Gu. 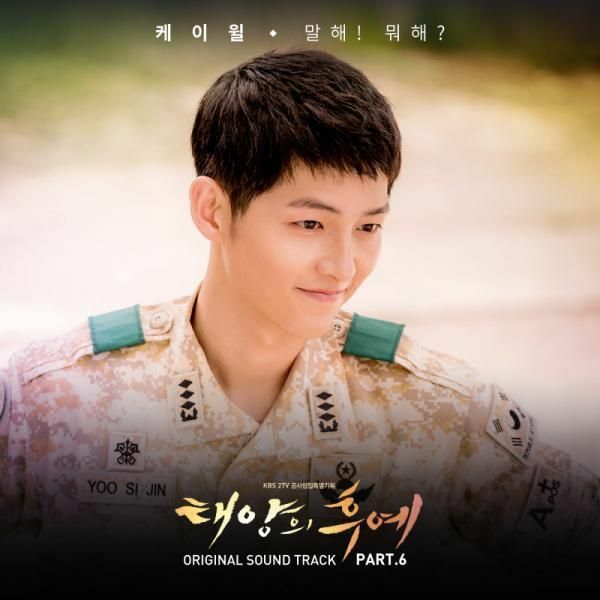 Dae Gu walks alone while Soo Sun follows him from across the street, keeping her distance as she keeps watch over him. A bus passes and then Dae Gu is gone so Soo Sun runs across the street. She sees Dae Gu looking at her so she walks over to hug him. Dae Gu soaks in her reassuring hug before reaching out to hug her back. Congressman Yoo sits with his son-in-law and is confident things will get resolved soon. He wants his son-in-law to focus on tomorrow’s board meeting but Mr. Shin heard his wife confessed. Ki Jae overhears and asks if his mom confessed to hurting someone and worriedly asks where she is now? Tae Il checks out of the hospital and leaves a letter for his dad stating that he wants to keep being a cop. It’s hard and dangerous but he wants to keep catching the bad guys and will do this job until the end. He asks him dad not to worry about him and he’ll come visit from time to time to show him that he’s doing well and healthy. Dae Gu is staring at a case chart at the breakfast table while Ji Gook is encouraging Tae Il to eat more nutritious foods. Even Dae Gu quickly grabs good for Tae Il to make sure he fully recovers as soon as possible. Dae Gu calls the former Masan detective out to ask about the interview notes from eleven years ago and the detective says he already told everything to Captain Seo that he handed the notes to Chief Kang. Dae Gu rushes back to the precinct and overhears Eun Do and Pan Seok talking about Dae Gu finding out that Chief Kang was the Officer Seo eleven years ago. Dae Gu storms inside and asks if they knew already and kept it from him? Pan Seok asks Eun Do to leave and tells Dae Gu that he confirmed it with Chief Kang already. Dae Gu doesn’t believe him because Chief Kang is like a second mother to him and even helped him find Killer Boots. Pan Seok reveals that Chief Kang confessed she was Officer Seo but wouldn’t reveal who was directing her. Pan Seok suspects it’s Congressman Yoo and not Madam Yoo which is why he kept quiet to keep investigating. Dae Gu drags Pan Seok to jail to see Killer Boots and ask him directly if the Officer Seo he spoke of is Chief Kang? Dae Gu insists that Pan Seok has to get on his knees to apologize if Killer Boots reveals it’s not Chief Kang. The jail officer comes out and tells them that Killer Boots is dead of a suspected suicide. Off-screen and just like that? Pan Seok and Dae Gu are floored and can’t believe there is another wrench when they are so close to the truth! Dae Gu screams at the Heavens and asks if it’s toying with him! How can he find out who really is Officer Seo and who was the person ordering everything behind the scenes. When Dae Gu and Pan Seok return to the precinct, Soo Sun has been waiting for him with a package sent from the jail by Killer Boots before he died. Inside is a locker key and a note to go to the Seoul station and open the locker. Dae Gu and Pan Seok run ahead while Soo Sun is a few steps behind and gets bumped by someone. The locker is opened only to have it be empty. They go check the station surveillance cameras and see a person in a dark jacket with the head covered opening that locker before they got there. Soo Sun believes that person bumped her in the station. Sa Kyung takes Tae Il and Ji Gook along with her team to investigate a kidnapping. The cops coincidentally discover that the kidnappers are the very two goons who Madam Yoo hired to steal the necklace and attacked Tae Il. Oh drama, why you be sooooo lame on crime solving. The cops storm the kidnappers hideout and apprehend the two suspects. Congressman Yoo freaks out to hear that Madam Yoo hired goons who ended up stabbing a cop. The lawyer reveals that the suspects have confessed Madam Yoo hired them and she’ll be charged for that crime as well. Dae Gu and Soo Sun continue to pore through the station surveillance to find the person who opened the locker. 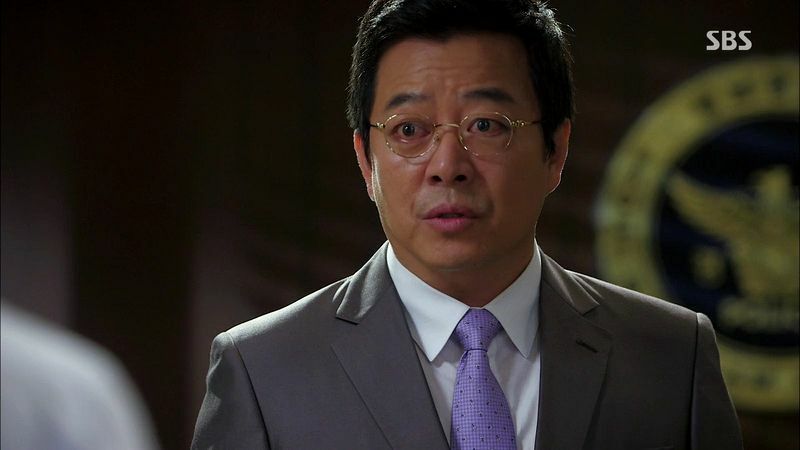 Mr. Shin arrives at the precinct and asks to speak with Dae Gu privately. Dae gu cuts to the chase and asks what he wants? Mr. Shin didn’t know hat his wife could have done such a horrible thing to Dae Gu’s mom and asks if Dae Gu would be willing to do a paternity test? Dae Gu points out that Mr. Shin claimed nothing happened with his mom but Mr. Shin apologizes for saying that, he was just so startled when Dae Gu came with the picture. Dae Gu isn’t interested, he only used the possible paternity as Madam Yoo’s motive to catch her. Now that she’s confessed, he’s not going to find out if he’s got any relationship with Mr. Shin, not now and not in the future. Mr. Shin wants to take responsibility for Dae Gu if he is his son but Dae Gu says it’s the opposite, Mr. Shin wants to put down the burden if he’s not the son. Dae Gu storms out leaving Mr. Shin wiping away tears. Soo Son finds Dae Gu and asks if that man was the possible father? Dae Gu sits down on the stairs and declares that he needs comfort now. Soo Sun asks Dae Gu not to laugh at her because she needs a lot of courage to do what she’s going to do. Dae Gu promises, and Soo Sun unbuttons his shirt to put a bandaid over his heart area. Awwww. When she was a kid she often got hurt and her dad would put a bandaid on her and blow on it and she would get all better soon. The two of them sit there smiling. Pan Seok goes to the jail and picks up Killer Boots’ items left in his jail. We see the jailer opening the cell and finding Killer Boots hanged himself from the rafters. He didn’t leave a family contact so the jail called Pan Seok to come pick up his items. Pan Seok sadly rifles through the items and finds that someone mailed something to Killer Boots. 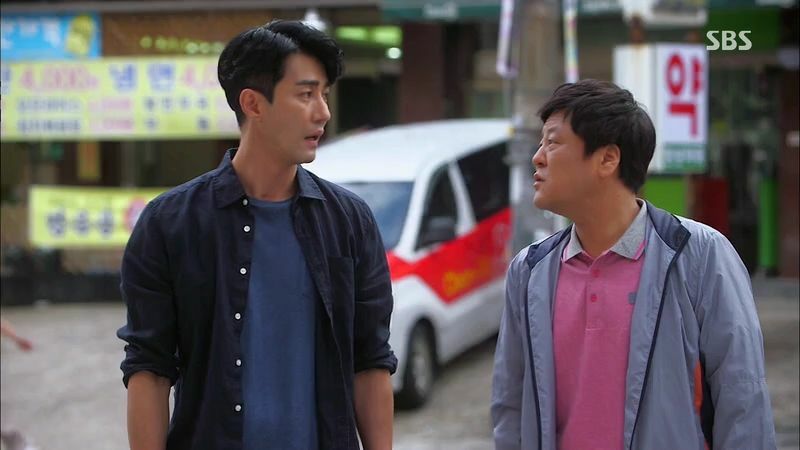 He goes with Eun Seok to meet a man who reveals that Killer Boots worked for him years ago and recently came by to ask him for a job but didn’t follow up and was arrested shortly after. He mailed some books and pictures to Killer Boots and doesn’t have anything else to add since Killer Boots was an unusually quiet person. As Pan Seok is leaving, he notices a car with the license plate that ends with 0723 and remembers that in the back of the picture of the two partners Killer Boots wrote the numbers 0723. Pan Seok asks the guy if this is Killer Boots car and the guy reveals it’s his old car but Killer Boots used it for a few days and it’s been parked here ever since. Pan Seok looks inside and appears to see something. Soo Sun passes Chief Kang in the bathroom and recognizes the same scent as the person who bumped her in the train station. She thinks about it and does more comparing surveillance pictures before finally telling Dae Gu. His first response is to doubt Soo Sun but the pictures clearly show that it was her with the same sunglasses. Dae Gu storms to Chief Kang’s office and asks if she took items from the locker and asks why she did it! When did she take the stuff Killer Boots left in the locker? He asks if she’s Officer Seo? Chief Kang denies it and asks if Pan Seok told Dae Gu? She keeps asking Dae Gu to believe her but she has no answer for why she took the items from the locker. She can keep denying even as Dae Gu cries that she was the one who told Killer Boots where he was that day in the school. Chief Kang cries that all she wanted was to destroy the necklace as evidence. She thought if the necklace was destroyed it would all be over. She had no idea this thing would get so big and would become her biggest regret and worry. Back then she had no choice, Commissioner Yoo was working on getting investigative authority to the cops and if his daughter was arrested he would be removed from power and that goal would be impossible to achieve. She claims not to know that Commissioner Yoo wanted to kill Dae Gu. She begs Dae Gu to keep silent for a few more days until the proposal passes. Dae Gu asks why she sought him out afterwards, was it to keep an eye on him? 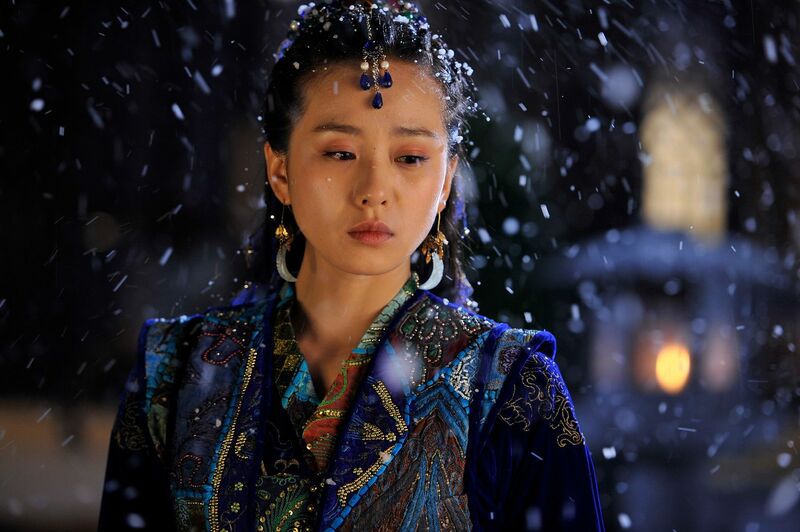 Chief Kang cries that she didn’t do it for that reason, she really liked Dae Gu and cared about him. Dae Gu doesn’t believe her and cries at why she didn’t just keep denying his accusations until the end. She is just like a mother to him for the last eleven years and he would have chosen to believe her! Dae Gu leaves Chief Kang crying in the office as Soo Sun watches Dae Gu absorb yet another shock. Congressman Yoo orders his son-in-law to sign on a piece of paper. Mr. Shin looks alarmed when he reads it but Congressman Yoo says there is no other choice with how much criminal activity Madam Yoo did. It was all caused by Mr. Shin so he can’t remain on the sidelines anymore. Tae Il and Ji Gook wonder why Dae Gu is even more depressed and hears from Soo Sun that they found the person who took the items from the locker. Ki Jae arrives to ask Dae Gu if he’s really Ki Jae’s real hyung? Dae Gu doesn’t have time for Ki Jae and shoos him away but Ki Jae grabs him by the hair to talk. The rookies break up the fight and Dae Gu tells Ki Jae to scram. Ki Jae acts like he doesn’t care and storms off but we see he planned it and used the fight to grab a tuft of Dae Gu’s hair and puts it away for a paternity test. Madam Yoo is bailed out of jail and she smirks believing that she’s in the free and clear now with daddy saving her. The moment she gets out of jail an ambulance arrives with doctors taking her away to a psychiatric hospital under a family approved psychiatric hold. Madam Yoo screams but is carted into the ambulance against her will. Chief Kang arrives to confront Congressman Yoo about why the investigative authority proposal has been withdrawn from the legislative session? Congressman Yoo claims it’s too early to pass but Chief Kang doesn’t believe him and orders that he submit it in the next two days or else. She has been living in hell for the last eleven years just for this proposal to pass so how can he withdraw it now? 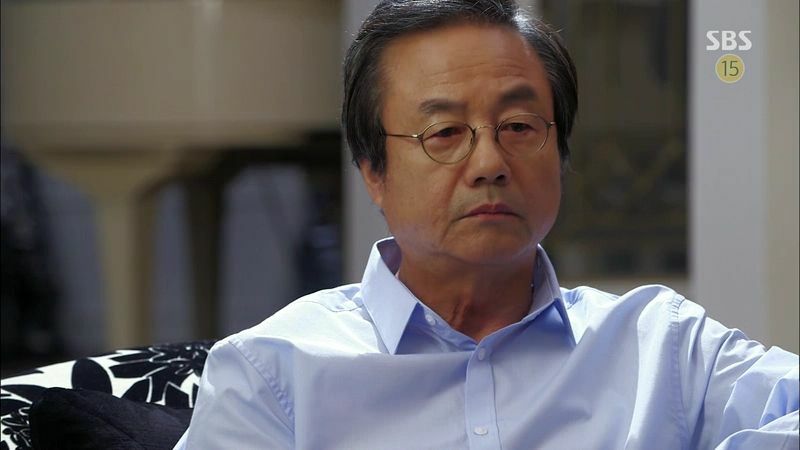 Chief Kang threatens to play hardball with Congressman Yoo, revealing that Killer Boots left evidence before he died that would incriminate Congressman Yoo. She feels so blind that she trusted Congressman Yoo and wishes that she could cut off his tongue so that he wouldn’t have convinced her to believe him all those years ago. She tells him to get the proposal passed otherwise it’s all over for them, including his daughter. Congressman Yoo places a call after Chief Kang leaves and orders the person to carry out what he ordered. Chief Kang takes out her frustrations on her car in the parking garage and we see Dae Gu and Soo Sun are following her. Soo Sun worries that Chief Kang handed over the evidence to Congressman Yoo but Dae Gu is certain she didn’t since she went in empty-handed and she’s not so careless as to show her hand early. They follow Chief Kang as she drives off and as she passes an intersection a giant truck suddenly T-bones her car from the driver’s side. Soo Sun and Dae Gu rush out of their car to help but by the time they arrive the driver of the truck has escaped while Chief Kang lays in a bloody crumpled heap outside her overturned car. Dae Gu cradles Chief Kang to help her but she’s clearly dying. 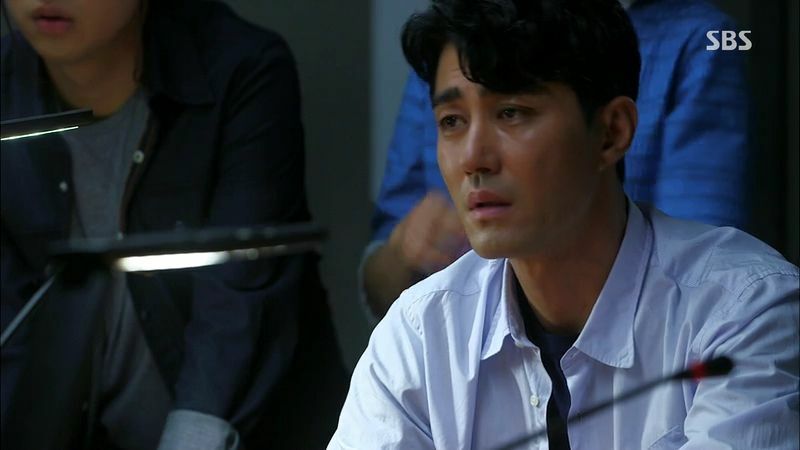 Chief Kang manages to squeak out a “I’m sorry, Ji Yong” and tells him that the tape recorder evidence is in her room. She dies in Dae Gu’s arms and he’s left crying over yet another death of someone he cares about. Oh crappity crap, this boy’s life really is coasting in unending rivers of pain. 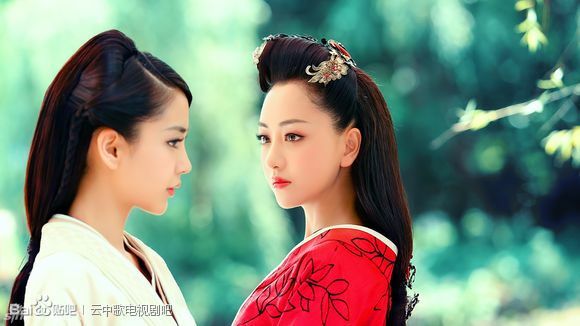 What are the writer’s credentials prior to this drama? How can he/she be hired as one. I can’t say they are the worst considering DS just ended. That was beyond description. 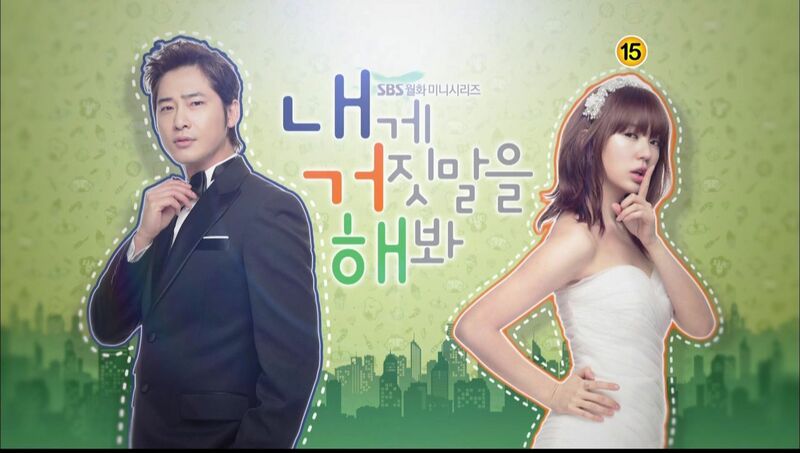 I am so disappointed as I had looked forward to this drama so much. Dae Gu’s life..how much pain he has to bear. He’s been suffering for too long. After witnessing the death of his mother, now he has to see Chief Kang take her last breath. Poor boy. Chief Kang had to die bc how could it have worked with Dae gu. This way she at least sacrificed for him. You know that moment when you get this eerie feeling, like you know someone is gonna die? Yea. I had that feeling, when Chief Kang was driving. I was like… “nope. She’s gonna die, guys” and then she crossed the intersection. Honestly, I expected one of those official government SUV black trucks to crash into her, so I was at least shocked to see a warehouse delivery truck. It’s sad to see her go. I feel we didn’t really get a real answer from her. They’re letting too many things go, without full explanations. Just like Hyung Cheol’s “sudden suicide”, I feel like it happened way too soon and without gaining sufficient information from him. Just as he was lamenting death, while speaking to Ji Young???? I love this show, regardless of the rushed writing and unnecessary end of certain key characters, and I pray for a sensible end to the show. And since it was telegraphed right from Episode 1 that DG’s father wasn’t actually dead, all this “makjang” was clearly planned all along. The lazy writing I will concede is Tae Il “happening on” his own attackers, but everything else fits with the storyline and characters as shown over the last 17 episodes, at least to me. 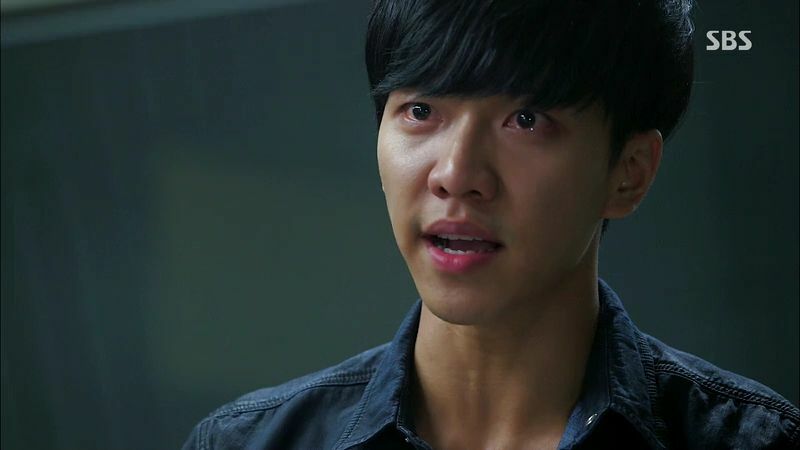 Seung Gi’s acting and the expressions in his eyes really pulled me in. I feel Dae Gu’s pain. The crash came out of nowhere. I honestly didn’t see it coming. t gasped so loud, my mother got worried. It’s so sad that Dae Gu has to witness another death. I can’t believe the finale is next week, time flies. 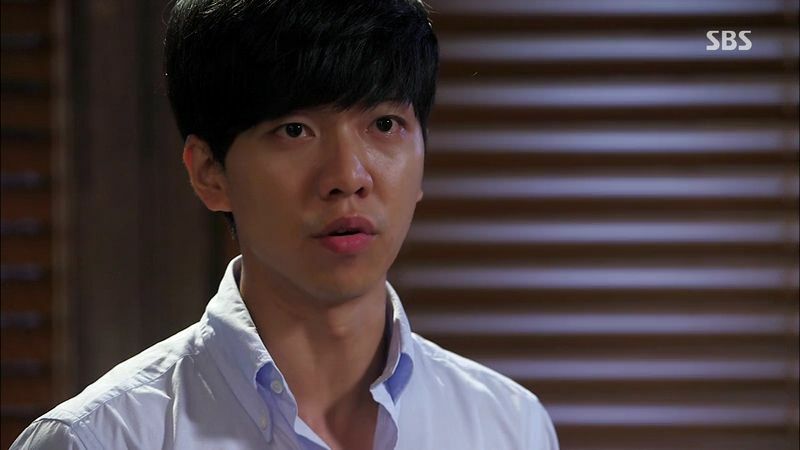 i was sold by seunggi’s acting on this ep and how hot he looked as deagu!! this is not his best drama or the moat hyoped drama. but i’m glad he got to play deagu and glad of csw and lsg got reunion. thankyou for the recap koala unni. hope you will keep on loving ans supporting seunggi coz i can relate to the frustration you feel when one of you’r favourites drama and hype don’t liveup to the expectations. lets pray the next project will be as amazing or more of a perfection than the king two hearts. and with TI apprehending the goons that stabbed him on his first case back made me think… is korea suffering from a shortage of thugs-for-hire? those guys seems to be booked rather heavily. post some vacation time next time so you don’t slack at the job and get caught. that’s what happens when there’s no down time. Off topic, but one day I want to make a collection of your metaphors and similes, because they are just so wonderfully imaginative! Why do I have a feeling that dae gu’s mom is the victim that was raped 27 years ago…That is one of the reason why chief kang/seo wanted to raise/help him.